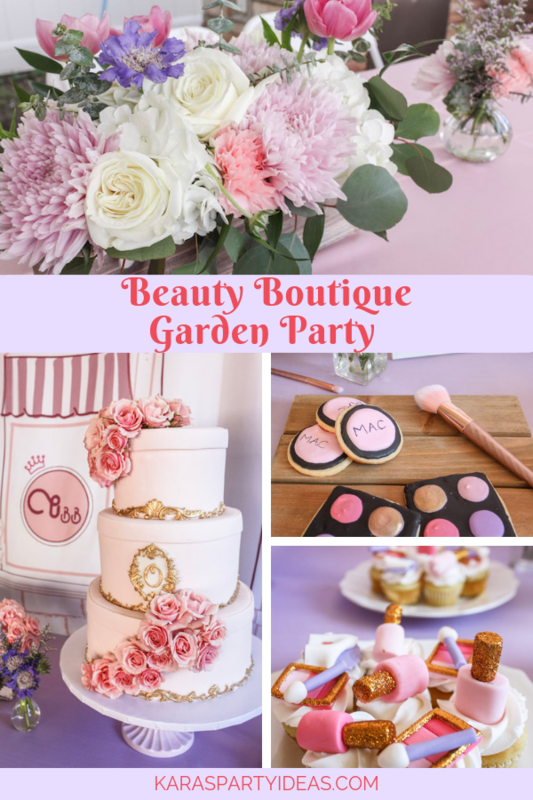 Get ready to blush and swoon because this Beauty Boutique Garden Party by Dreamery Events, out of Kearny, NJ, USA, will have you over the moon! 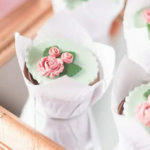 From the delectable beauty sweets to the darling blooms and prints this celebration will definitely be a hit! 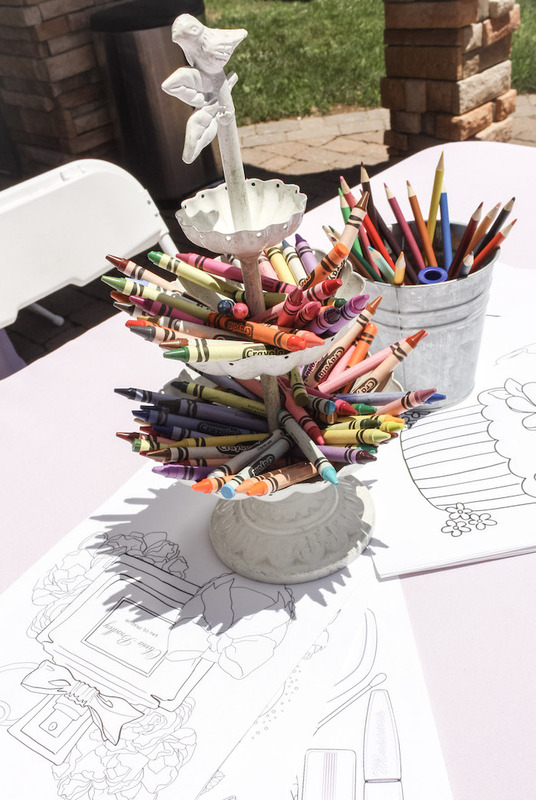 Dianas party description- Im sharing this fun, colorful and oh so pretty birthday garden party I styled for a cherished clients, one of the darling Alves sisters. 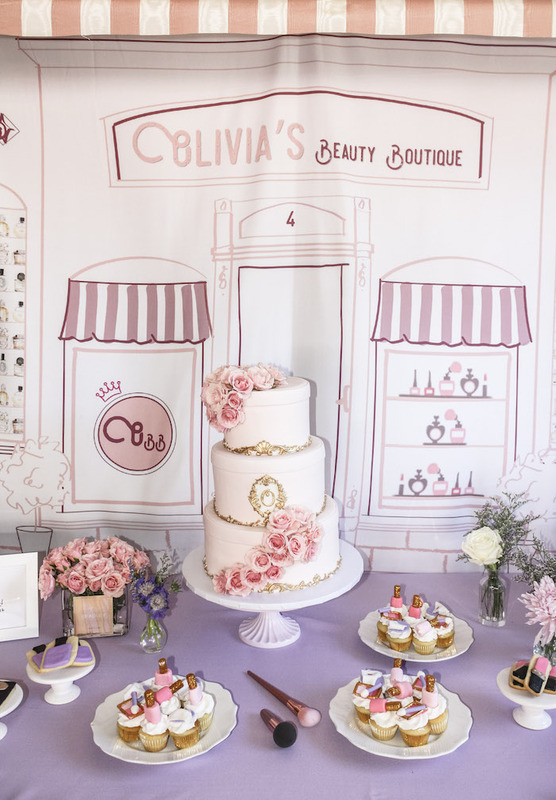 At the end of winter we had Delias balloon and teepee filled boho fete, and now we have Olivias Beauty Boutique 4th Birthday! 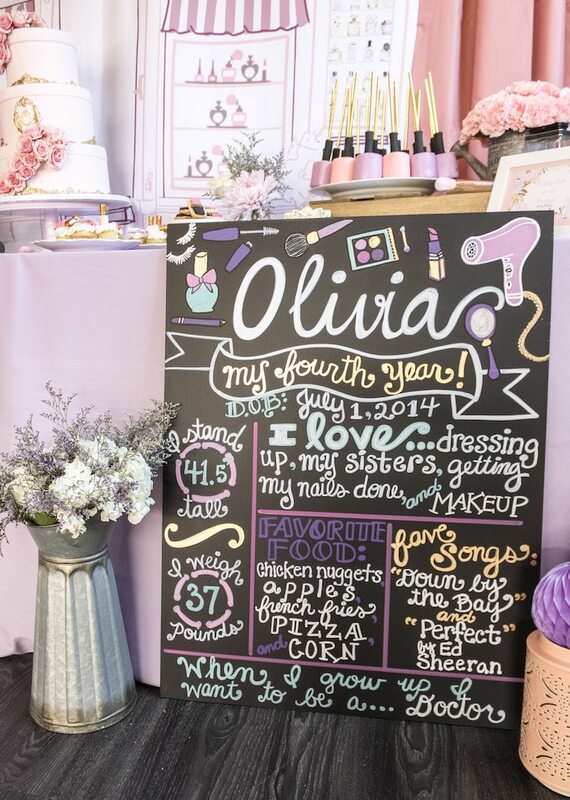 Its been so fun to watch these girls grow up and now at an age where they can choose their own birthday party themes. 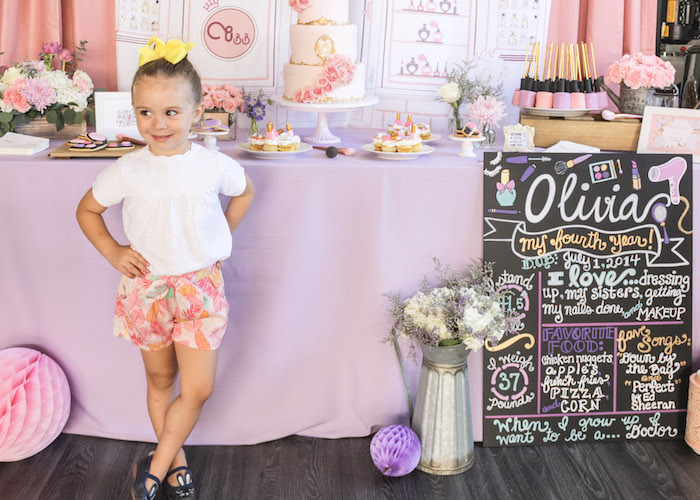 Last year, the fiercely and funny Olivia wanted a Dinosaur theme, so we made sure she had a cool tropical bash fit with a Dino friend. 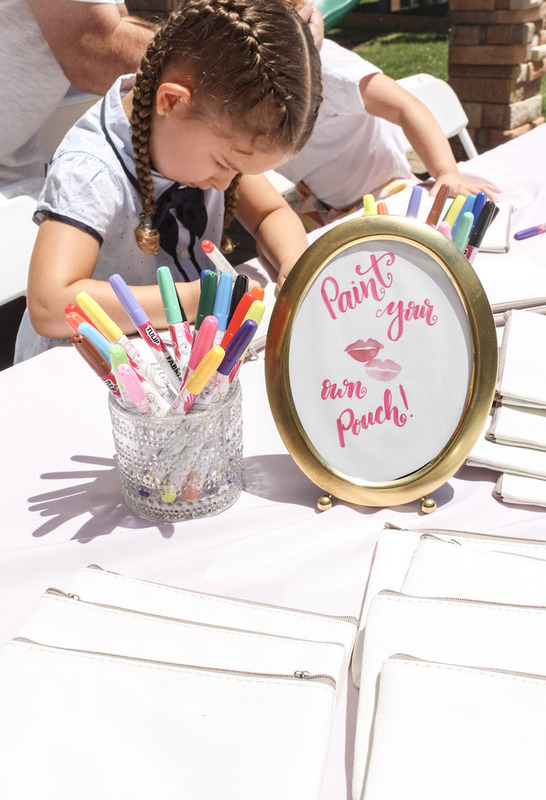 And this year, to celebrate her 4th birthday, she wanted to showcase her prettier side with a makeup theme party! 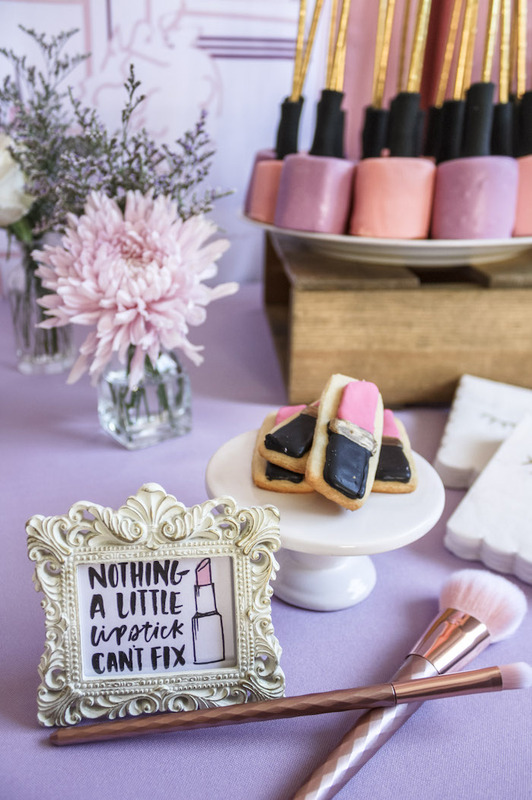 Inspired by recent travels in Portugal, I thought why not give this darling, her very own Beauty Boutique, like the lovely boutiques we often picture in Europe! 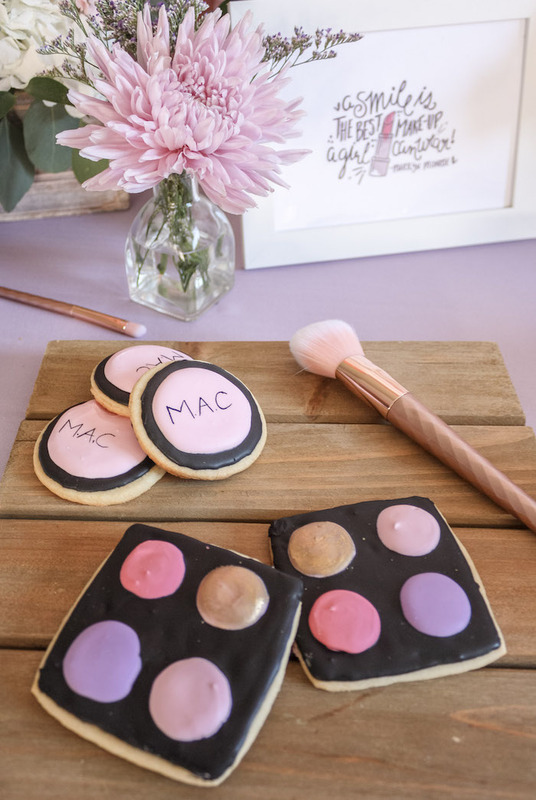 The result, a perfectly sweet and angelic take on the makeup theme for this cuties 4th birthday celebration. 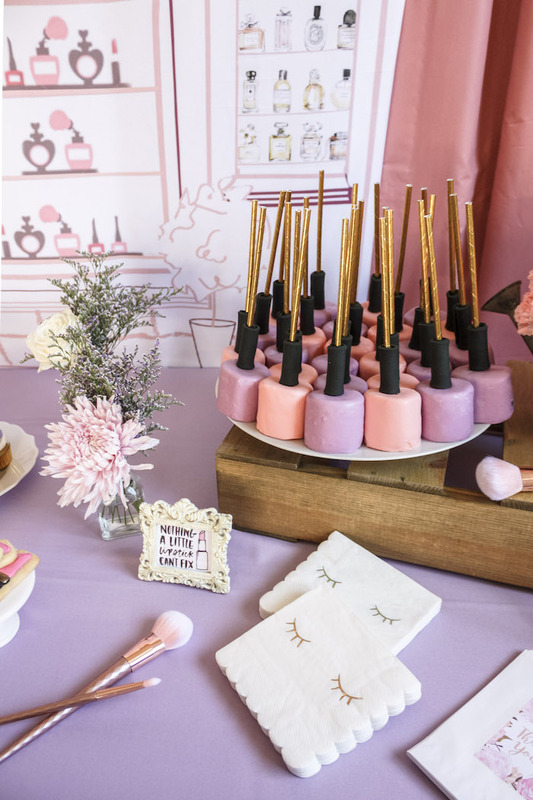 Makeup themed celebrations are often favorites for tweens and spa parties, so I wanted to make sure things were on the much lighter and fun side, especially since Olivia and her friends ranged between the ages of 3 and up. 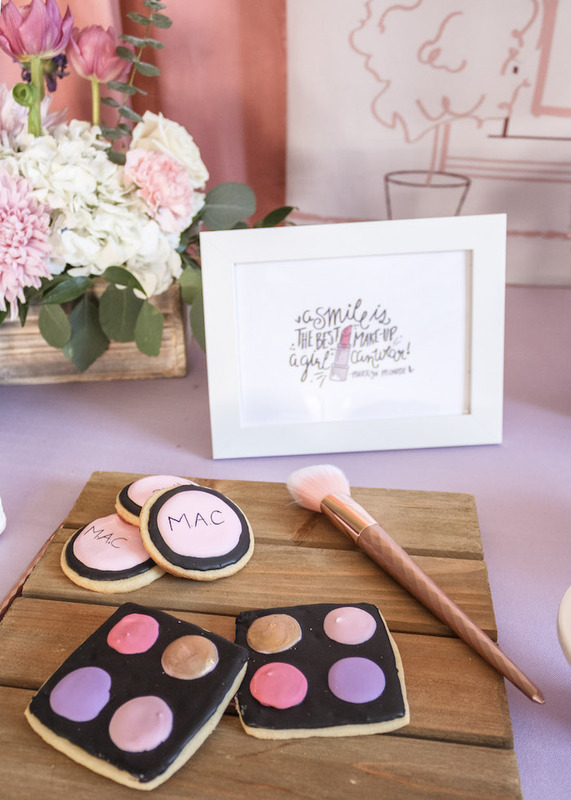 Instead of glam squad, we kept things simple and laid-back like summer, highlighting Olivias favorites colors with a pastel touch and specific, yet subtle child-like hints of makeup details. 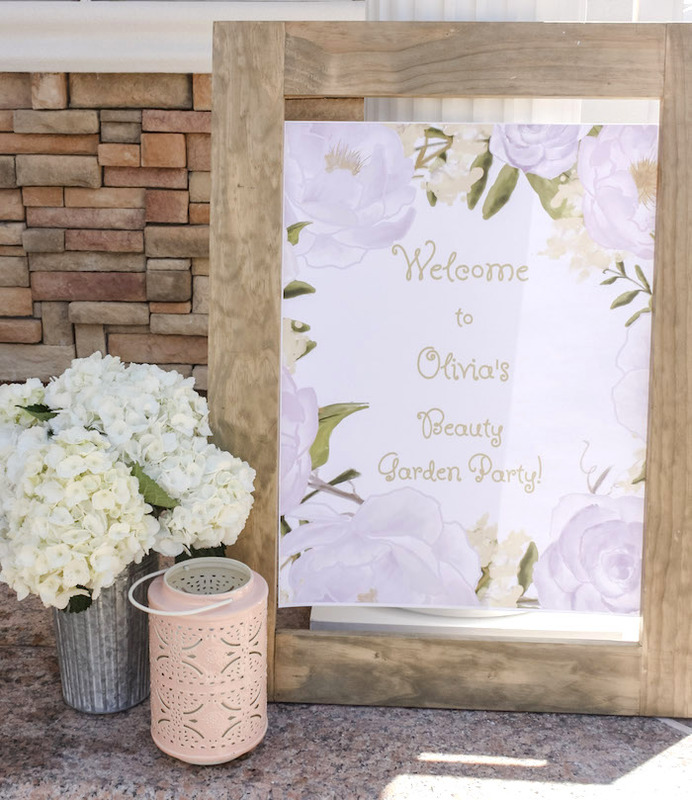 The party was held in the familys yard so used that and play up the summer fun to made sure that Olivias Beauty Boutique would be the Garden Party of her dreams. 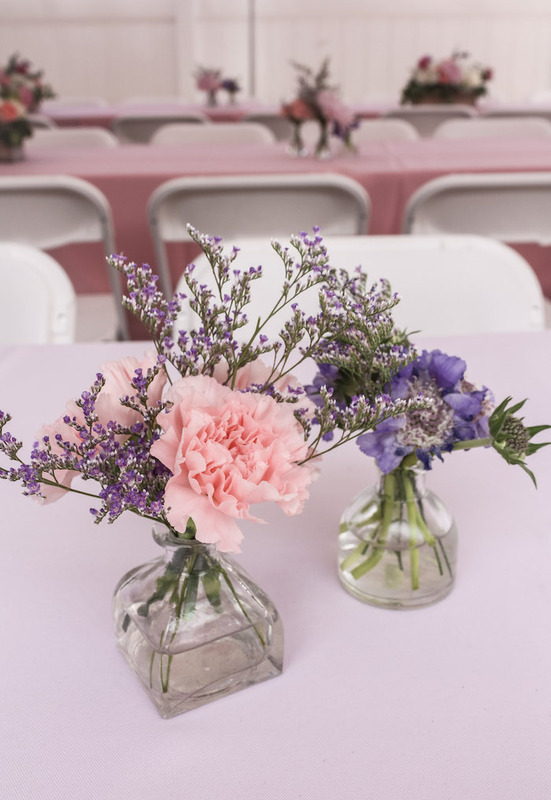 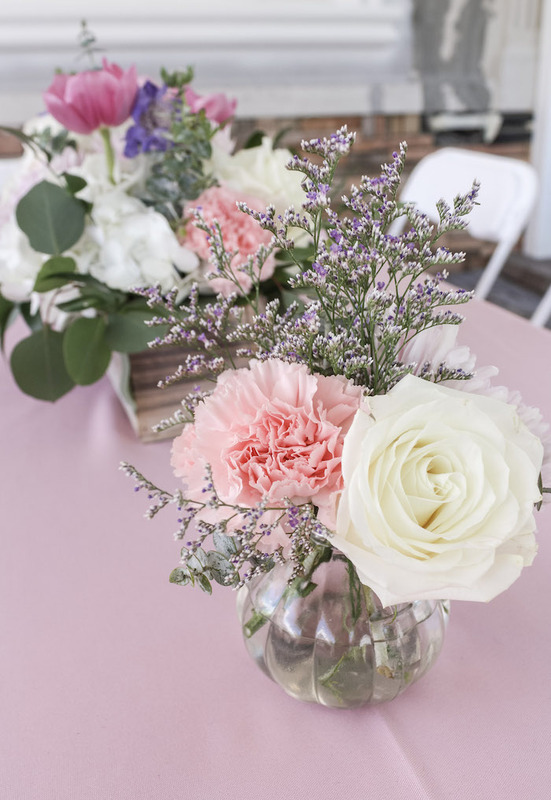 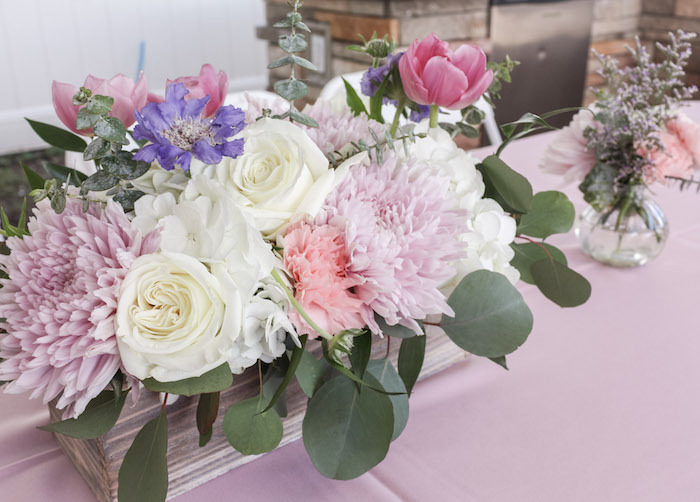 The sunshine came out, making all the flowers in whimsical shades of light pinks and purples, pops of bright hues and hints of gold, shine against the sweet pastel linens and rustic wood planters. 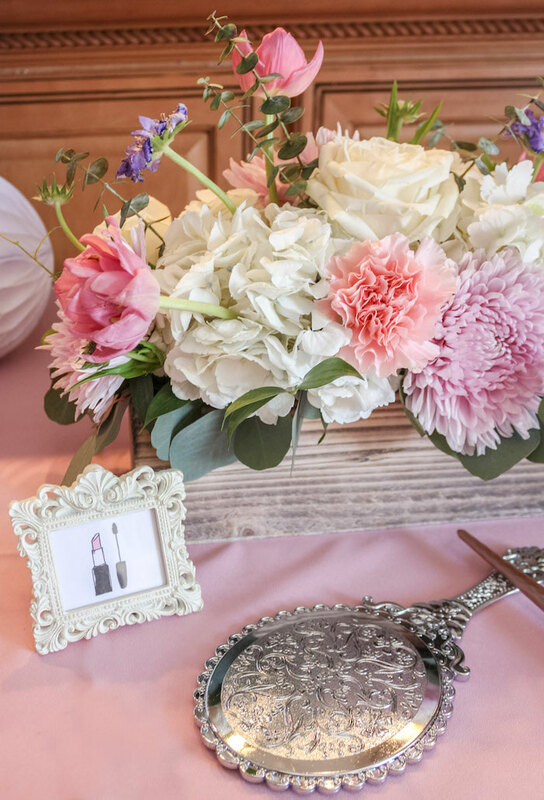 The kind of details I imagine a pretty French boutique would setup with their own al fresco seating. 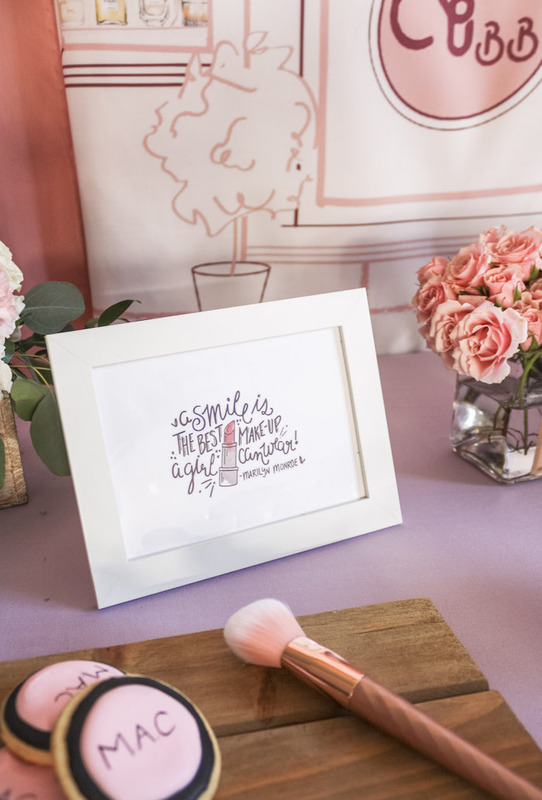 Framed quotes of encouraging words on skin deep beauty, were placed throughout. 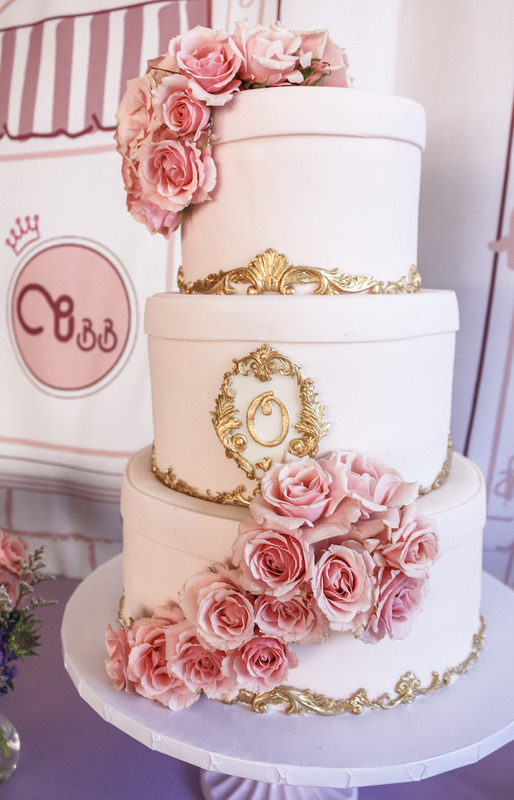 And that cake, isnt it so pretty! 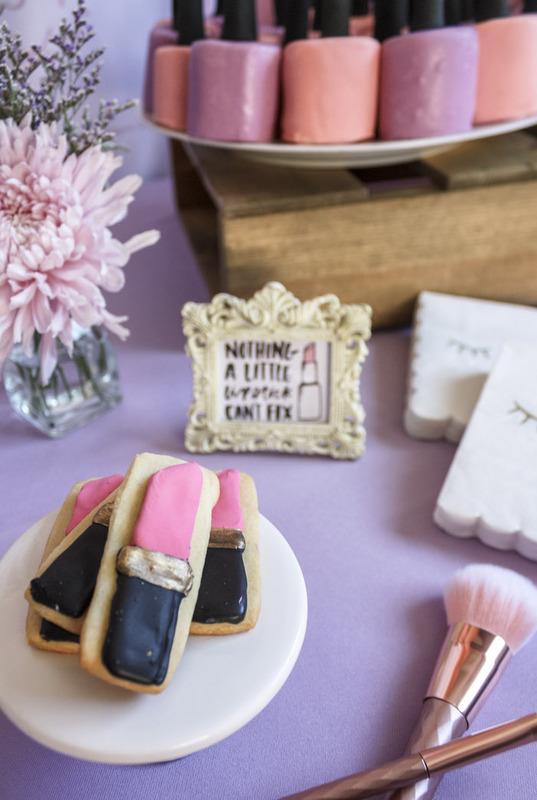 Patty Cake Bake Me A Cake did such an amazing job giving this sweet birthday girl her very own sugary tower of hat boxes, because no European inspired beauty boutique party is complete without vintage hat boxes. 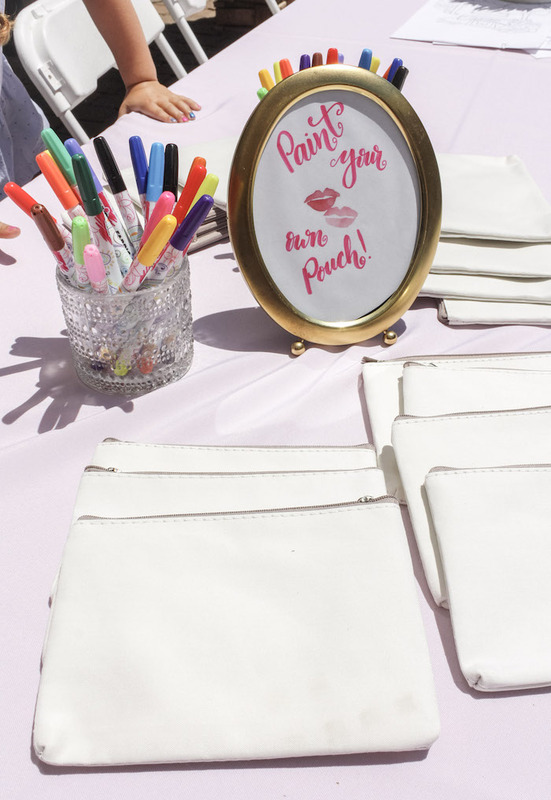 As the adults entertained themselves amongst good company and world cup games, the kids reveled in the perfect summer day painting pouches to carry their new supplies once school started, festive coloring pages or playing in the tree house, sliding and swinging into this pretty party! 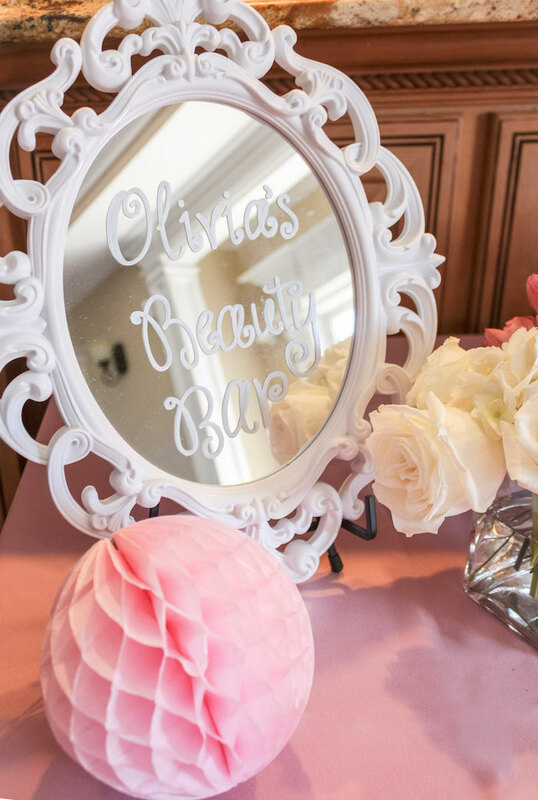 But the most exciting and fun part of Olivias birthday  her very own Beauty Bar where all her friends were treated with the beauty works by Deneal Kelly of Red Carpet Faces. 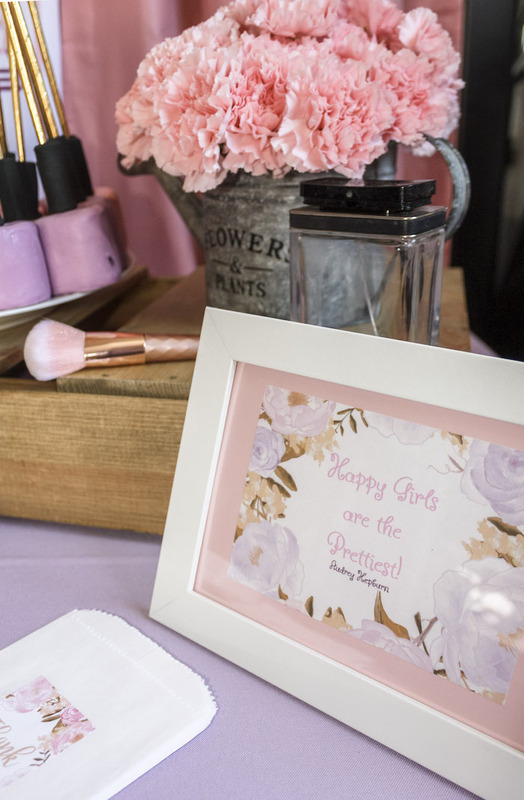 Each darling was treated first to yogurt facials, then a makeup session and mini mani/pedi. 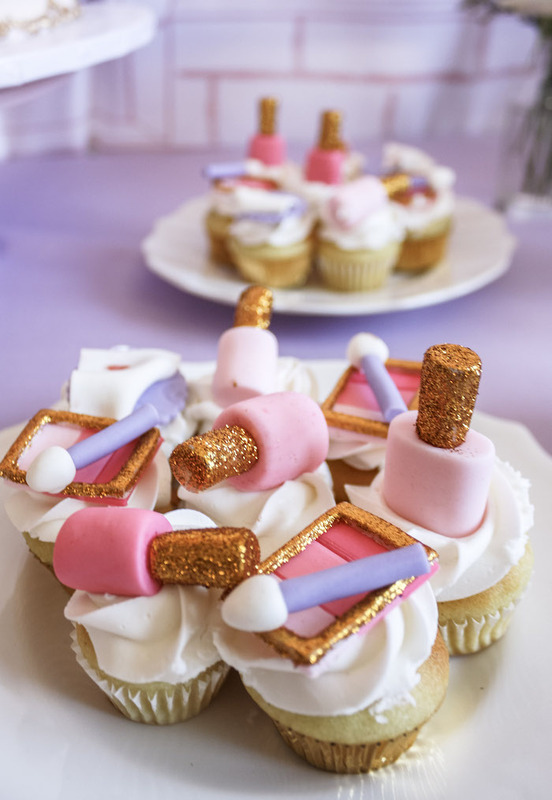 Of course no festive birthday makeup is complete without glitter!! 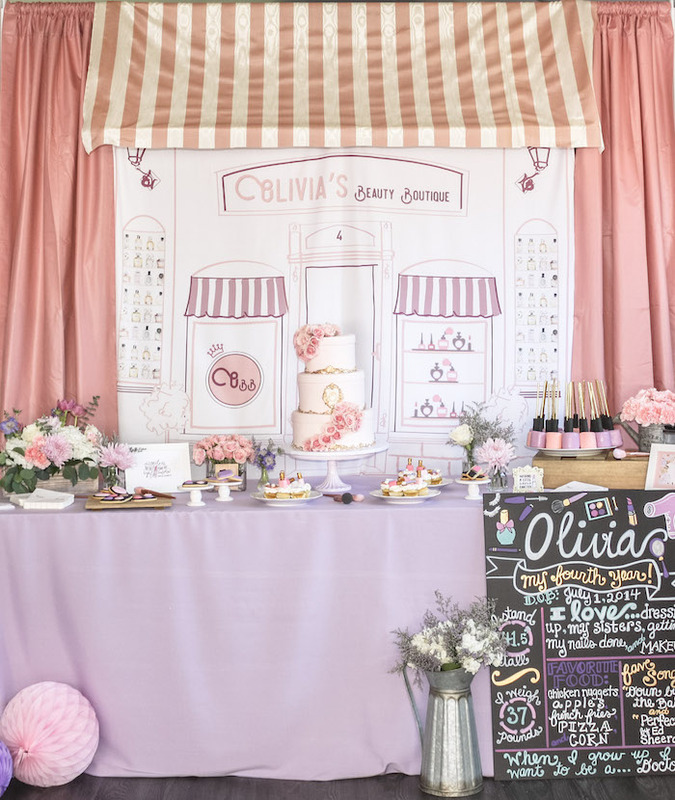 Olivias and her friends absolutely loved this, and so did their mamas, who were just as giddy, watching their little ones. 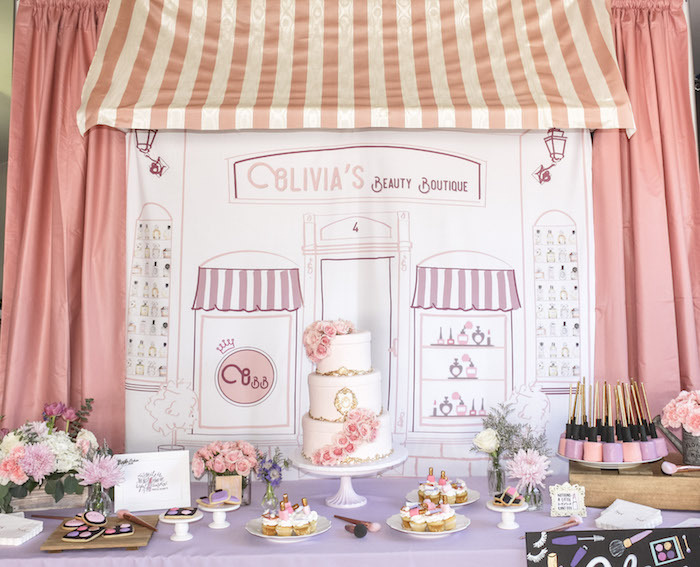 Isnt Olivia just a darling beauty! 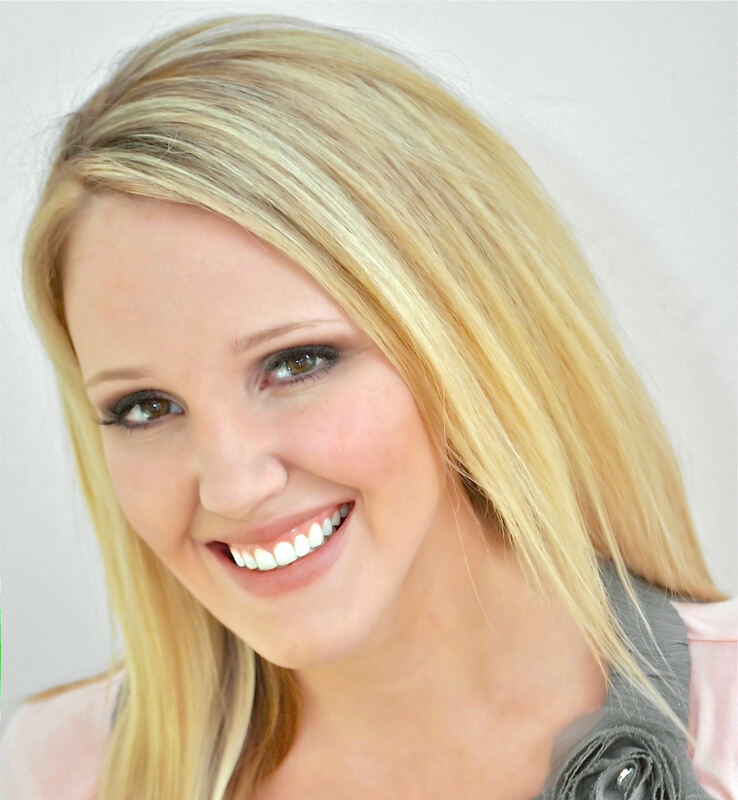 Shes definitely going to move mountains this one! 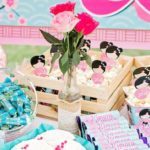 These sisters are the cutest, and sincerely one of a kind girls that will most definitely make you laugh out loud and smile. 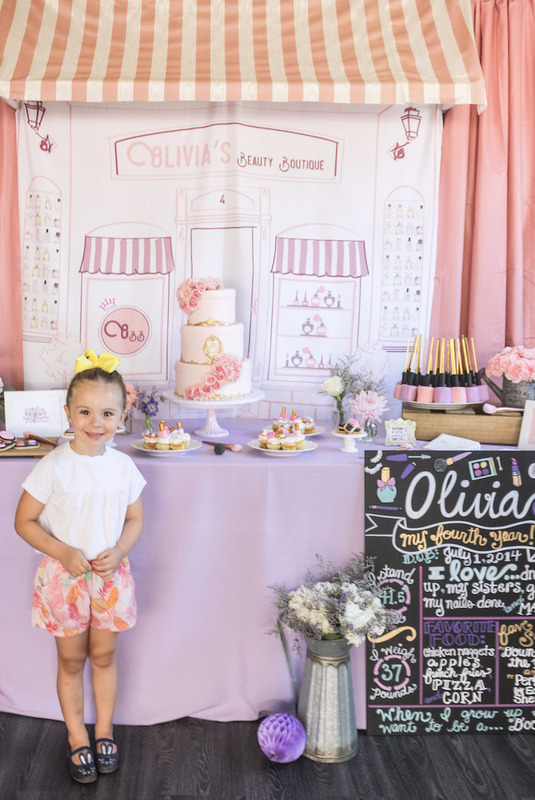 I absolutely loving working with their lovely mama on creating their special and one of a kind celebrations. 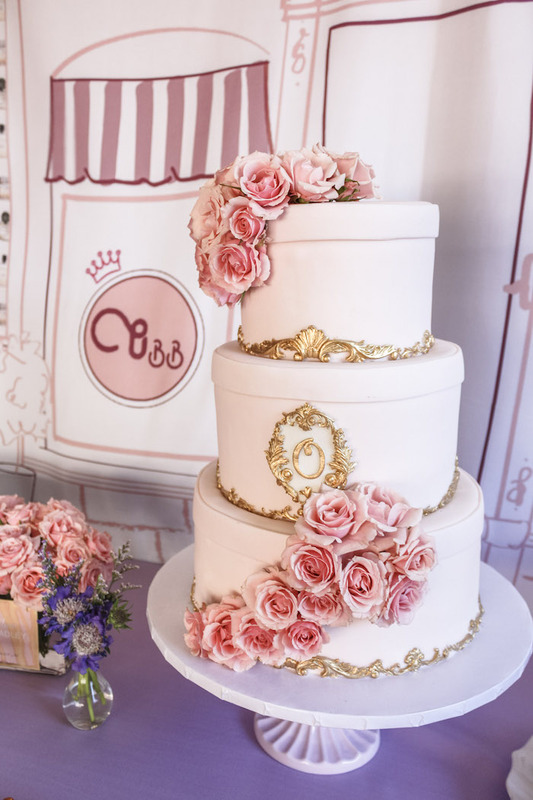 Its so wonderful to have seen them grown up in these last few years and to now begin to them make their own choices when planning their celebrations, which I only hope create memories theyll look back and cherish for years to come.